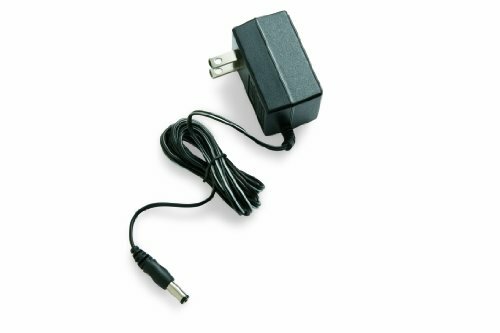 Droll Yankees Yankee Flipper Replacement AC/DC Adapter - Replacement Charger/Adapter for the Droll Yankees Yankee Flipper. The Classic Sunflower or Mixed Seed Feeder with Ring Pull Advantage is a classic tube feeder designed for easy cleaning. Simply pull the ring to disassemble the feeder in seconds without tools. The 16-inch seed tube has a 1-pound birdseed capacity for fewer refills, and the bird feeder has six feeding ports to accommodate multiple birds at once. It works with a variety of seed types, including sunflower seed, mixed seed, peanut chunks, safflower seed, sunflower kernels and cracked corn. 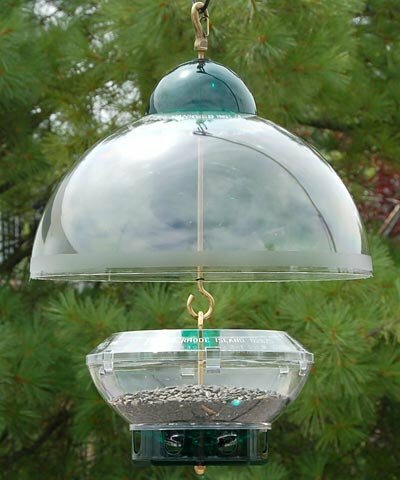 This classic bird feeder carries a lifetime warranty against squirrel damage. The ports protect the tube from squirrels, and the metal perches cannot be chewed by squirrels. For additional durability, the seed tube is made from UV-stabilized polycarbonate that resists discoloration over time. This feeder either can be suspended from its stainless steel bail wire or pole mounted. It measures 2-1/2 by 5-1/2 by 20-1/2 inches. Made in the USA. 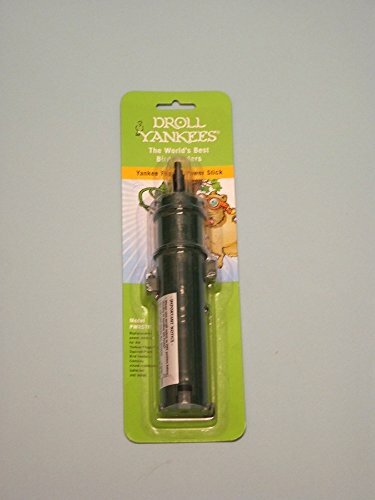 The Droll Yankees Yankee Whipper is a squirrel-proof bird feeder that allows birds to eat while preventing hungry squirrels from getting a meal. Its four curved perches let birds feed but collapse under the weight of a squirrel. The Yankee Whipper holds up to 5 pounds of birdseed and has an internal baffle that disperses the seed evenly to all four feeding ports. 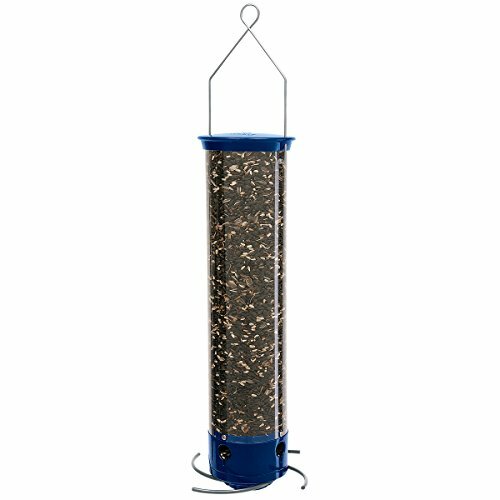 The bird feeder features a UV-stabilized polycarbonate tube that won't discolor over time, as well as a metal base and cap with a powder-coated evening blue finish that resists chipping and fading. The tube bird feeder hangs by its sturdy stainless steel looped bail wire that reduces motion to prevent seed from spilling. The Yankee Whipper measures 8-3/4 by 8-3/4 by 28 inches. Made in the USA, it is backed by a lifetime warranty against squirrel damage. 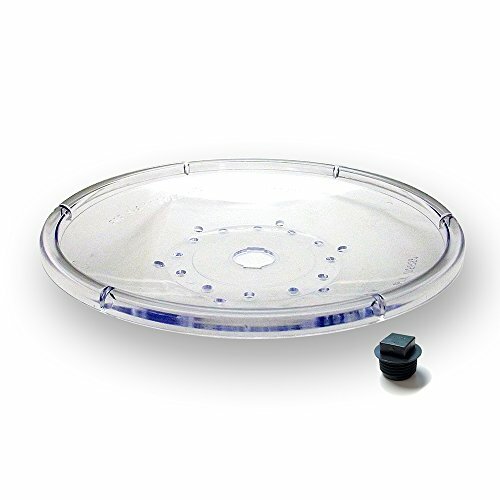 The A-6 seed tray attaches with a threaded plug to the base. It fits the "A" Series Classics, the "TH" Series Classics, and the CJ Series New Generation, as well as some other brands. 7-1/2 inch diameter. 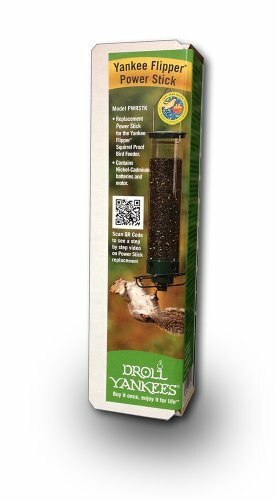 The Droll Yankees Domed Cage Sunflower Seed Bird Feeder is a classic tube feeder surrounded by a 10-1/2-inch-diameter wire cage. The cage has 1-1/2-inch openings to allow songbirds easy access to seed while blocking larger birds and squirrels from getting a meal. The bird feeder is also equipped with a clear dome to provide birds protection from weather without obstructing your view. A spring clamp holds the dome securely against the cage, and the feeder is easy to remove from the cage for cleaning. 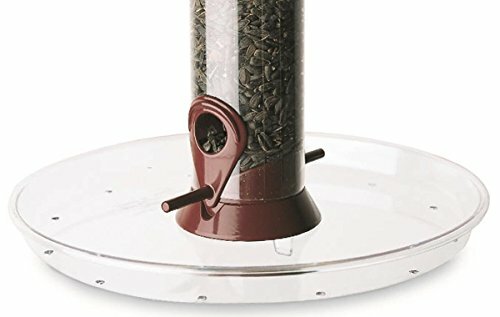 The tube bird feeder holds 1 pound of seed, so you won't have to make frequent refills, and it has four feeding ports to accommodate multiple birds at once. 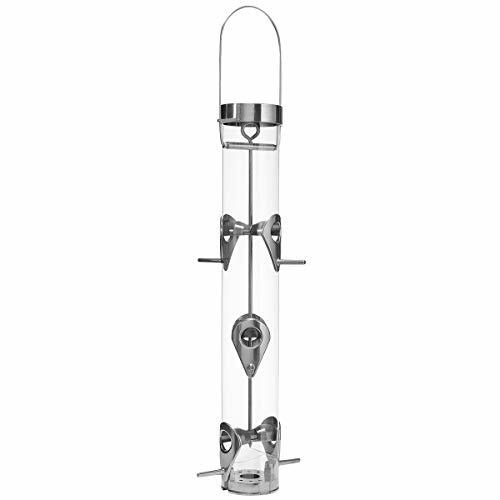 The ports and other metal components have a durable finish, and the clear polycarbonate tube is UV stabilized to prevent discoloration over time. The feeder can be hung by the stainless steel wire or pole-mounted via the threaded base. 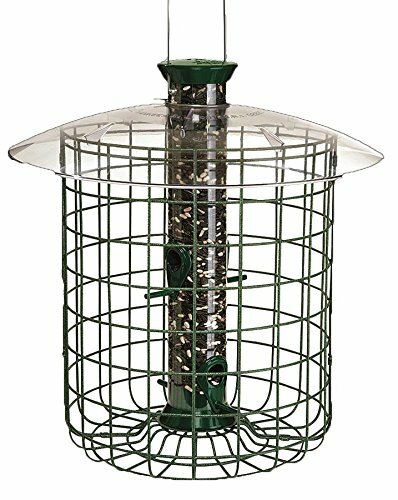 Made in the USA, the Droll Yankees Domed Cage Shelter Sunflower Seed Bird Feeder is backed by a lifetime warranty against squirrel damage. It measures 15 by 15 by 23 inches.